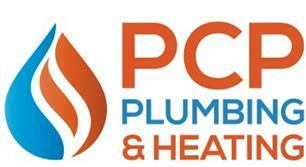 PCP Plumbing & Heating Ltd - Central Heating Engineer, Plumber based in East Grinstead, West Sussex. Our company provides a complete range of gas and plumbing services to both domestic and commercial clients. We are two partners with over 40 years experience within the industry, One is based in East Grinstead, West Sussex and the other is based in Rayleigh, Essex, This enables us to cover a wide working area. We carry out all works to the highest level of workmanship, whether it be a domestic boiler change to a full ward refurbishment at a hospital. We aim to treat each client like family catering to all of their needs, by giving this personalised service it enables us to upkeep our excellent reputation. Because of our reputation and high level of workmanship we get a lot of repeat contracts from builders within the area, each job is finished like the last, as neat and tidy as possible, If the customer is not happy for some reason then we are more than willing to change our install to their liking. Thanks for reading about us and we look forward to hearing from you.